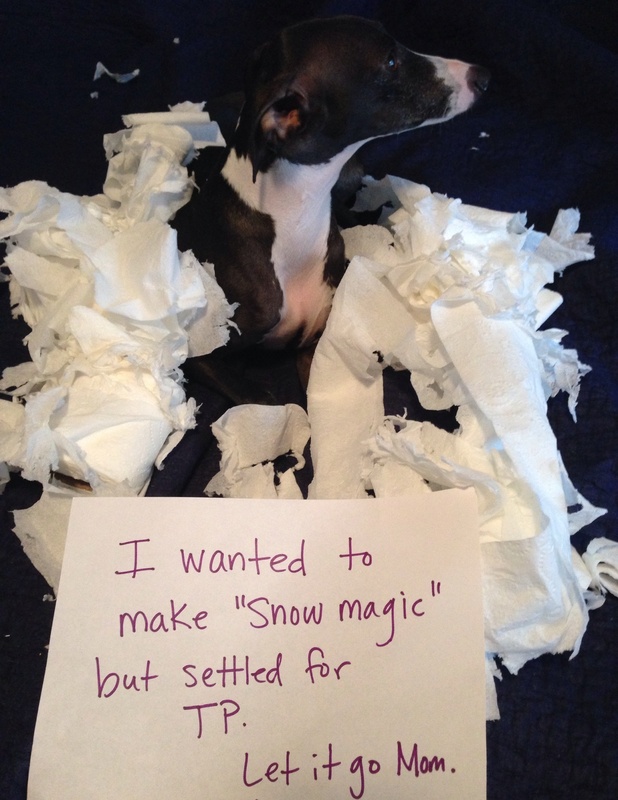 Posted December 17th, 2015 by Audra Williams & filed under Submitted, Toilet Paper Pups. I left for the grocery store…gone 30 minutes. Mr. Wagner decided to break out of his crate, tear up several rolls of toilet paper and make “snow” for me. In every room of the house. Let it go? Posted September 28th, 2015 by Audra Williams & filed under Submitted. 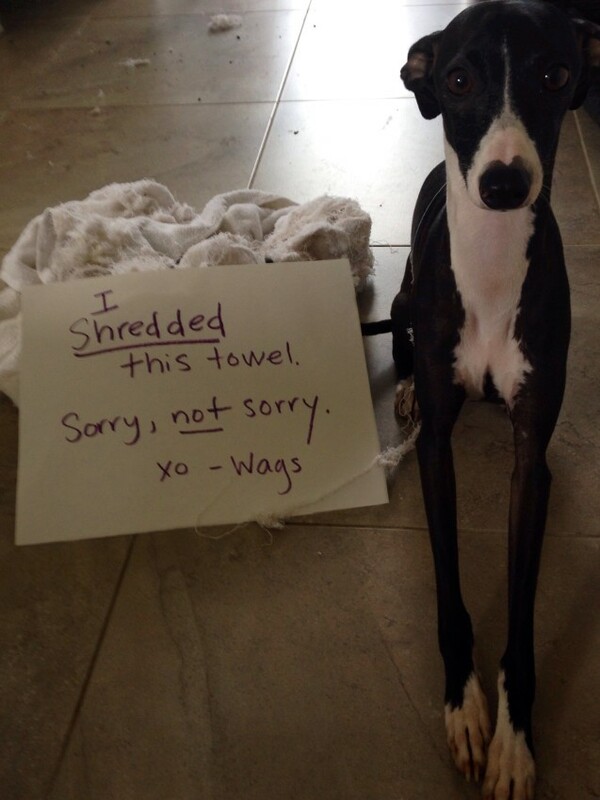 Wagner (aka Wags) here has a problem being alone. Unfortunately for him life calls for times when we must leave him at home for a bit (Mom has to actually buy groceries!!) but he’s usually with us. He’s a smart boy and has special ways of letting us know he’s displeased about these “alone times.” The other day he ate my daughter’s hello kitty hat (he wasn’t even alone, he just thought it would be tasty). He also attempted to eat the pool gate. And the edge of the wall. And my son’s batman and ninja turtle toys. This, however, was his most masterful work. This towel was so very shredded that I have been finding pieces of it throughout the house for days. He’s lucky he’s so cute… Sigh. 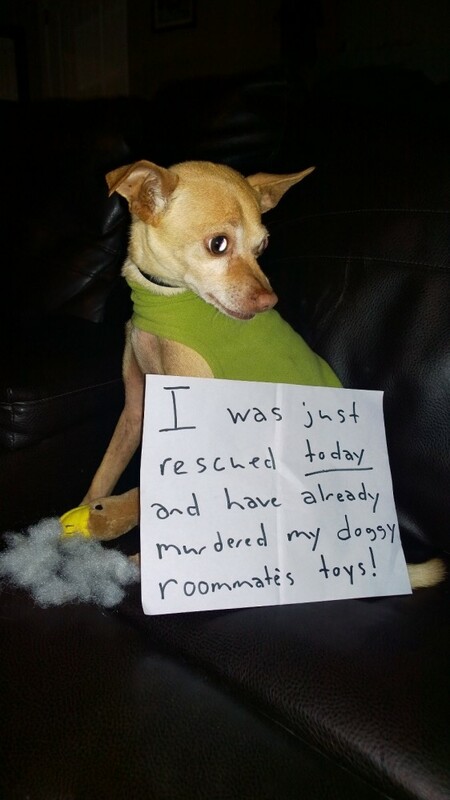 Posted August 20th, 2015 by Audra Williams & filed under Submitted, Toy Tug-O-War. Posted May 15th, 2015 by Audra Williams & filed under Submitted, Who's Training Whom. 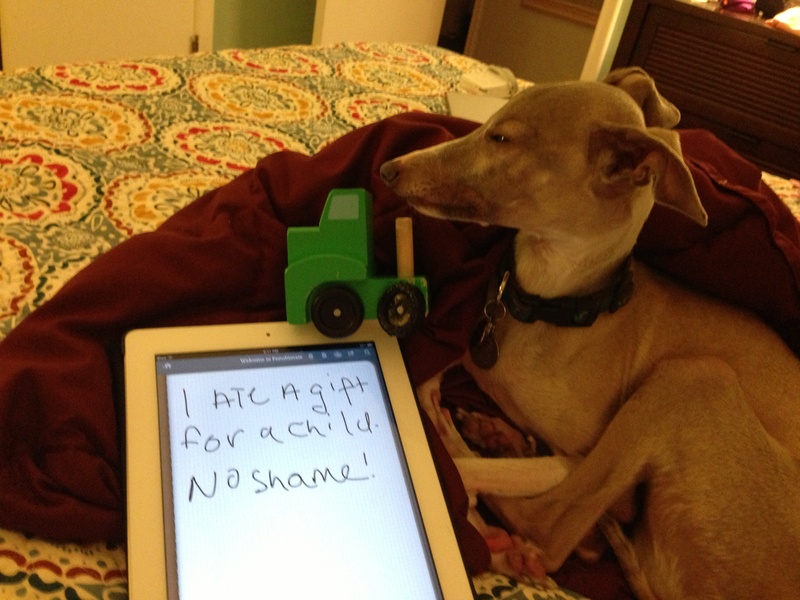 Beau is a 10 year old Italian Greyhound who makes his mommy carry him to bed at night. 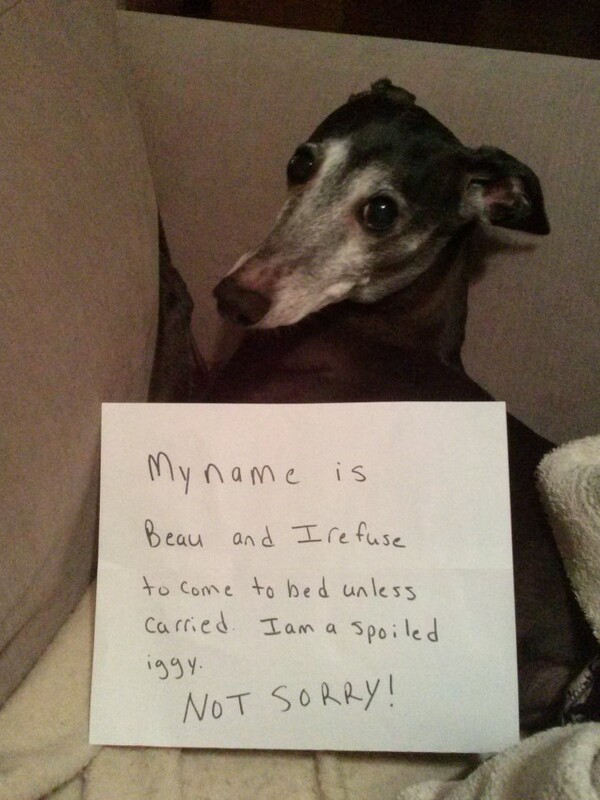 It is really mommy’s fault for spoiling him rotten. 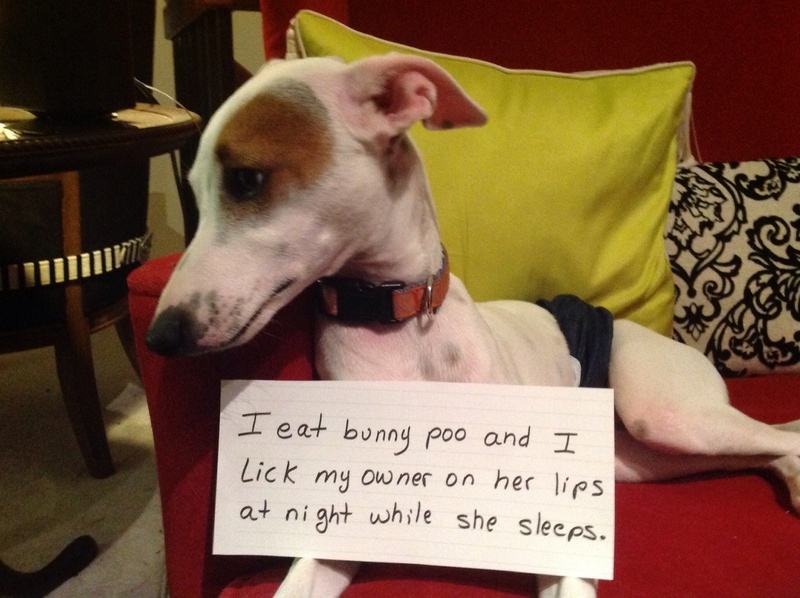 Posted March 29th, 2015 by Audra Williams & filed under Disgusting Doggies, Submitted, Surprise Poops. 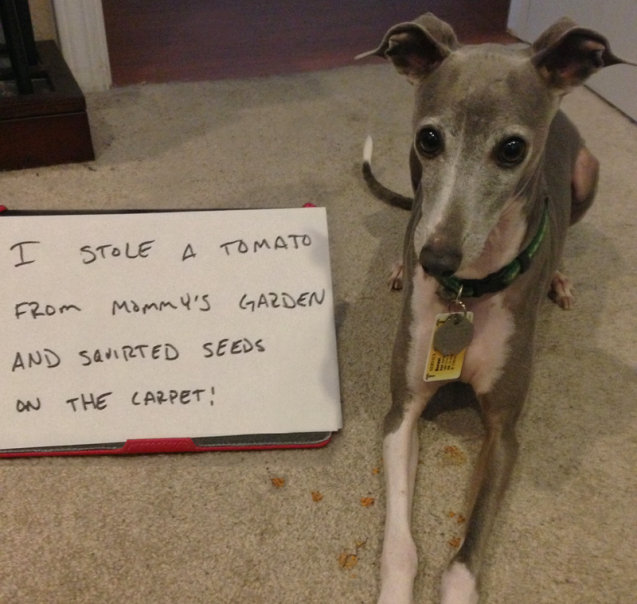 Spreckles, our Italian Greyhound likes to find “treats” on our picnics. Posted April 3rd, 2014 by & filed under Bad Babysitter, Submitted. Moe ate a gift for a child. 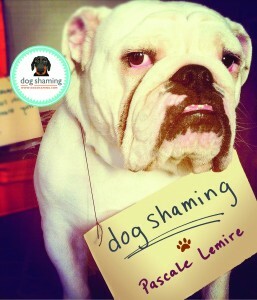 He has no shame. I think he was mad he wasn’t getting a gift too. Posted March 12th, 2014 by & filed under Pilfering Pooches, Submitted. I stole a tomato from Mommy’s garden and squirted seeds on the carpet! Posted June 25th, 2013 by & filed under Chatterboxes, Submitted. 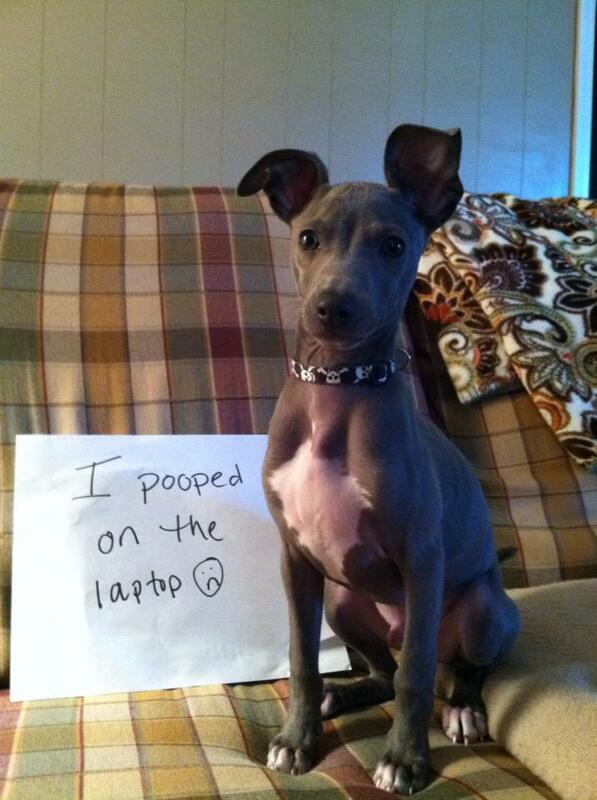 I pooped on the laptop! Posted May 13th, 2013 by & filed under Submitted, Surprise Poops, Technophobes. Slim is jealous of the attention we give the laptop. When no one was looking he pooped right on top. I think he is proud of himself, not ashamed. I pooped on the laptop. Posted March 14th, 2013 by & filed under Submitted, Surprise Poops, Technophobes. 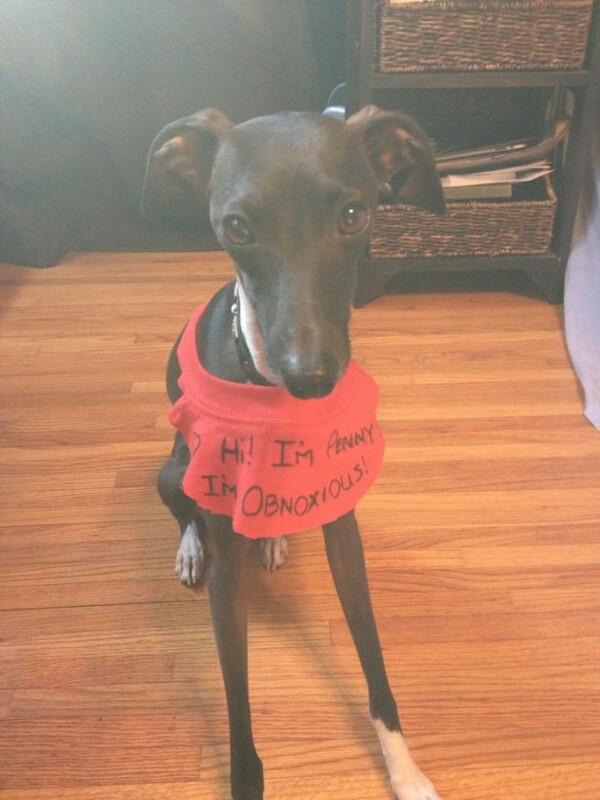 Our dog, Slim, is a mischievous Italian Greyhound. He pooped right on top of my laptop as it sat on the living room floor!